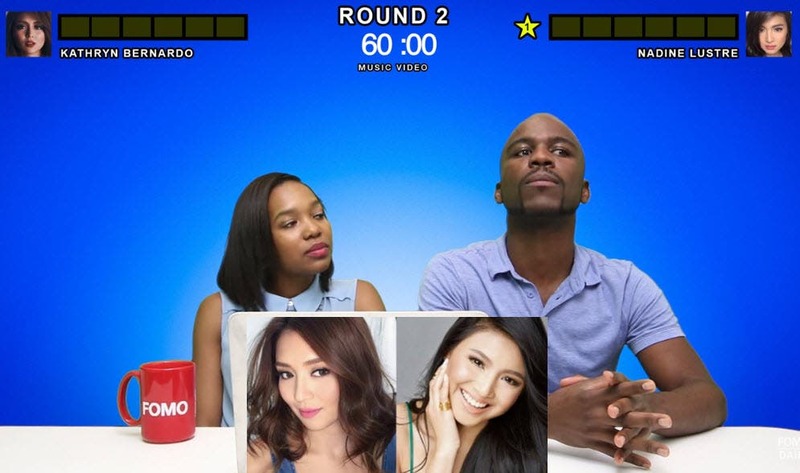 In a recent video by FOMO Daily, American teens choose between Kathryn Bernardo and Nadine Lustre. Three pairs of American teens checked out Kathryn and Nadine’s Instagram accounts and watched the two Pinay actresses’ music video and movie trailer (“Barcelona” for Kathryn and “This Time” for Nadine). They cast their votes after each category.